Chokecherry Syrup and Antiques are a winning combination! Sunday June 3 “The Antique Capital of Nebraska” has many stores that will be open at Noon for the inside Antique Festival held in conjunction with the outdoor Chokecherry Festival. 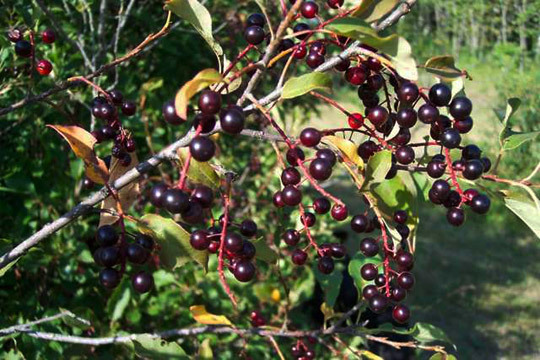 The Chokecherry Festival is held at City Park on the west side of HWY 183 and Main St.. Thompson’s Treasures will be open and is on the east side of HWY 183 and Main Street. The free Pancake feed is from 11:30 to 1. Tami Thompson made 3 gallons of homemade Chokecherry Syrup! Yummy for your Tummy. Tami sells Chokecherry Jelly at Thompson’s Treasures. Head west down Main starting at April’s Kitts Nook and continue heading west down Main Street where additional Antique Stores will be open for your shopping pleasure. Abbott Antiques will guide you over to The Livery Stable which is a short distance south of Main Street! Additional Chokecherry Festival events happening during the day include a Bar B Que. Spend your Sunday in Sargent, Nebraska. If you can’t come today, call 402-350-6740 when driving a distance so we can get as many stores as possible open for you! Hello I am so excited I found your webpage, I really found you by mistake, while I was searching on Digg for something else, Nonetheless I am here now and would just like to say thanks for a incredible post and a all round interesting blog (I also love the theme/design), I don’t have time to go through it all at the moment but I have bookmarked it and also included your RSS feeds, so when I have time I will be back to read a great deal more, Please do keep up the superb work. Thank you for your kind words as we pay for the websites out of our own pocket. Additionally, we donate all the time and energy it takes to build and maintain the websites. Praise is a welcome relief to all the criticism we hear locally. We do have an Antique Paradise here in Sargent, but embracing retail change is a struggle for some. Thanks again for your interest in our revitalization efforts!